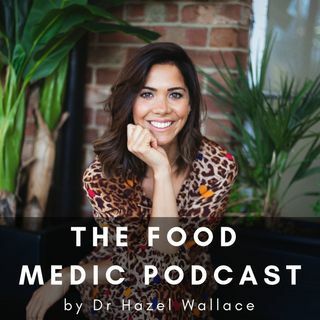 Welcome to The Food Medic podcast hosted by medical doctor, personal trainer, blogger, and author, Dr. Hazel Wallace. In this podcast you will hear from leading experts in their field who share evidence based advice on how we can live healthier lives and cut through the confusing information that we find online. For more information you can find Hazel at www.thefoodmedic.co.uk or on social media instagram, twitter, and facebook @TheFoodMedic. The Food Medic for Life books is out now which is ... See More available online on amazon and in most good book stores.